Vision, hard work, dedication, patience, commitment, risk taking, obedience and yes, reclusiveness! These and many more have culminated to define the industrial mogul the world has come to know and celebrate. As the business mogul celebrates his 60th birthday today, here are what young entreprenuers could learn from the man, who has built his business empire from the ground up. Dr Mike Adeniyi Ishola Adenuga Jr. (GCON), Chairman of the Mike Adenuga Group, fittingly symbolises the African enterprising spirit of passion, unalloyed commitment, resilience and hard work. This businessman extraordinaire thrives on the principle of hard work, even as close associates say the billionaire works 18 hours a day. As if to buttress that point, he said “I have worked hard most of my life and I believe I have been very fortunate; although I must say I am a great believer in the man who said ‘The harder you work, the luckier you get.’” And yes, luck has indeed smiled on him. 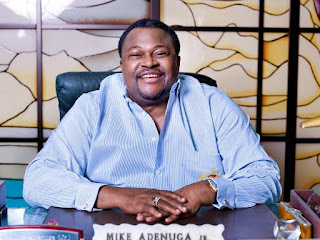 As of March 2012, Adenuga’s grossly under estimated net worth was $4.7 billion, according to Forbes, which said it would rather err on the side of caution by stipulating his net worth at a “paltry” $4.7 billion. Those who claim close ties to the mogul said it would be safe to assume the man is worth well over $100 billion. Be that as it may, one thing is established: the business icon is super rich. It may, therefore, amaze anyone that when he started off, he didn’t do it for the money. That goes to teach young entrepreneurs: when you start a business, do not make money your overall aim. “If I can be seen as adding value to Nigerians, it is more fulfilling,” he said on a Youtube broadcast, explaining that making money is not his topmost priority but affecting the lives of Nigerians positively. That is another lesson to take away from the business icon. He believed in the tremendous possibilities of his dreams and he rigorously pursued it. At 22, he saw business potential in commodities, general merchandise, construction, importation of mainly sawmill equipment, tomato paste, wines, beer and textile materials and some other businesses he could lay his hand upon. Fast forward to four years later, Adenuga became a millionaire at 26 and, with tentacles in high places. With his unique flair and absolute tenacity of purpose, the multi millionaire soon became a multi-billionaire in any currency. Aspiring entrepreneurs would learn from Adenuga’s distinct ability to identify and utilise opportunities. In one of his rarest interviews with Newswatch, he narrated how this ability has helped shaped his business acumen. “I went on a trip to New York and when I was coming back, I missed my flight, being on British Airways, so I had to fly Swiss Air and I sat next to the owner of one of the biggest lace manufacturing factories in Austria. So, we were talking and he got me interested in importing laces, and all sorts of things.” Adenuga would later reveal that “the secret of my success is hard work, God’s blessings and luck.” He also understood that to be a global brand leader, you would have to start very small. To achieve his future goal, he acted as a private middleman who got term-based oil contracts, built military barracks, and supplied the armed forces and the police with weapons while also working as a distributor for Coca Cola, Nigerian Breweries, Cadbury, Guinness and Continental Breweries. He was also a dealer for Peugeot Automobile of France. With time, he was buoyant enough to sink over $100 million into his first oil block back in 1991. Adenuga is not a man without challenges, yet he wouldn’t give up until he achieved the desired objectives. Before Globacom finally berthed in the country, many scoffed at him and told him to stop chasing shadows. But he would not give up. According to his brother, Demola, after he lost the bid to get his telecoms licence, “Mike never gave up hope. He kept hope alive; that is one thing about my brother: he is an eternal optimist. Something kept propelling him not to give up on the matter. He pursued it and he eventually got the licence.” A young entrepreneur would learn the power of perseverance and patience from Dr Adenuga. Without his perseverance, Nigeria today probably would not have heard what has been regarded as the country’s biggest corporate export with footprints in Nigeria, Ghana, Benin Republic, Senegal, Cote D’Ivoire and The Gambia. Adenuga never rests on his oars and that is another lesson a young entrepreneur can take from the business mogul. As a visionary, he is not limiting his conquest to Africa, but is rather taking on the world as his centre stage, creating jobs across the globe. The business mogul invested over $3 billion in the telecommunications sector alone and created jobs for thousands of Nigerians. He also believes in the law of reproduction or capacity building, saying of his The Mike Adenuga Foundation that “our aim is to find the visionaries of tomorrow. We want to find and nurture young people with the ideas and the drive to make a difference in Africa, in a really hands-on way. This is the legacy I would like to leave behind. 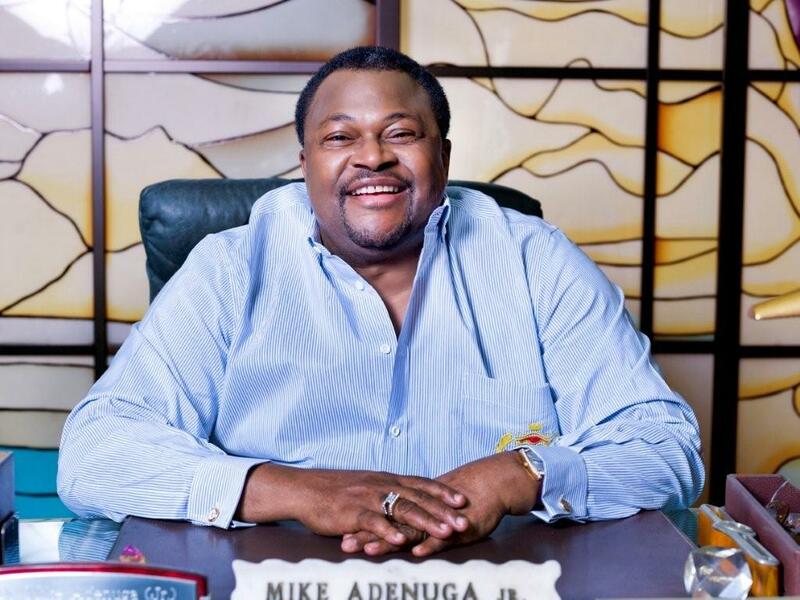 Therefore, a great deal of the energy of The Mike Adenuga Foundation will be devoted to entrepreneurship. We will strive to provide a unique education that will develop the instinctive entrepreneurial talent of young Africans, in addition to supporting knowledge and skills acquisition in other disciplines that drive innovation.” The guru understands that with big dreams often come bigger sacrifices. Listen to him: “It will not be easy to achieve what we want to achieve, nothing worth doing ever is. But the other thing I have learnt from business is that you cannot do it all on your own. And that is why I call on the support of my business colleagues, friends and supporters to make the Mike Adenuga Foundation a reality that really works hard to change society for the better. This is something that needs to be done. And it will be done. You have my word on it.” Adenuga sits atop what is generally regarded as one of the continent’s largest business empires comprising oil and gas, telecoms, aviation, banking and real estate. In each of these sectors, the business tycoon has moulded his companies into major players. In the oil and gas sector, for instance, Conoil Plc is one of the largest and most profitable oil marketing companies in Nigeria. The Guru also has a multi-billion dollar investment in real estate. These companies provide direct employment to thousands of workers and millions of others indirectly. In telecoms, Globacom is adjudged one of the most innovative networks in Africa and has operations in Nigeria, Ghana, Benin Republic, Senegal, The Gambia and Cote d’Ivoire. The philanthropist made history in 2010 when his telecoms company inaugurated its international submarine cable, Glo 1. No one else could have pulled off this feat and a Youtube broadcast confirmed that much, “no one else has the submarine optic fibre cable from Africa to Europe and America connected to its own massive nationwide network.” Adenuga is credited with the telecom revolution in Nigeria as Globacom’s historic introduction of Per Second Billing and crashing of SIM cost to as low as N100 led to the over 100 million phone connections in Nigeria today. The network also pioneered such revolutionary products as Blackberry, mobile internet and mobile banking services in Nigeria. One of the biggest lessons to learn from Adenuga is his legendary large heart. Adenuga would give people money, exotic cars, houses and tell the beneficiaries never to mention a word about it to anyone. He has on his unofficial payroll many people from across the world that are not his employees but just to ensure he regularly reaches out to them. This is apart from spending millions of naira through the Mike Adenuga Foundation to provide relief materials for victims of flood disaster. Numerous other institutions have also benefitted from his large heart including but not limited to the Ijebu-Ode Muslim College, Ibadan Grammar School, his alma mater, and Metropolitan College, Onitsha. The aforementioned schools were provided with ultra modern ICT centres while Adenuga endowed a chair worth over N100 million at the University of Lagos. The list is endless. Surely, it takes generations to produce such an icon as Adenuga. There is nothing more to add, other than to join millions of people out there to wish him a very happy birthday.